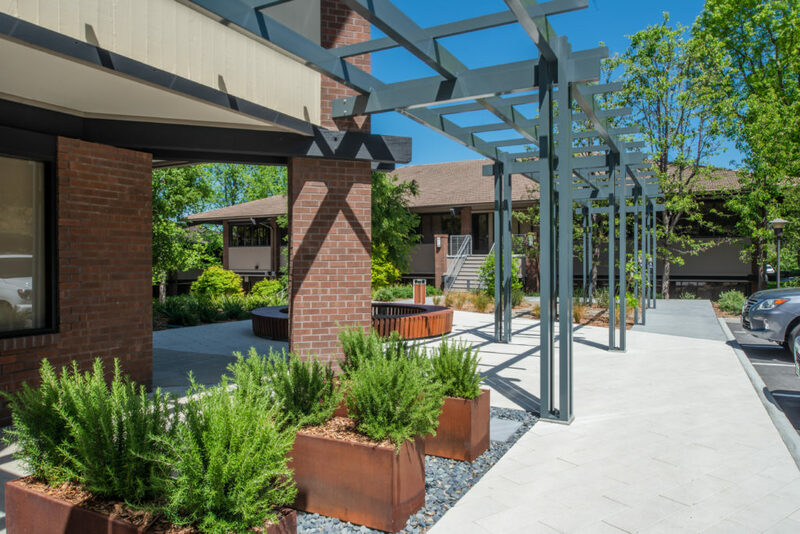 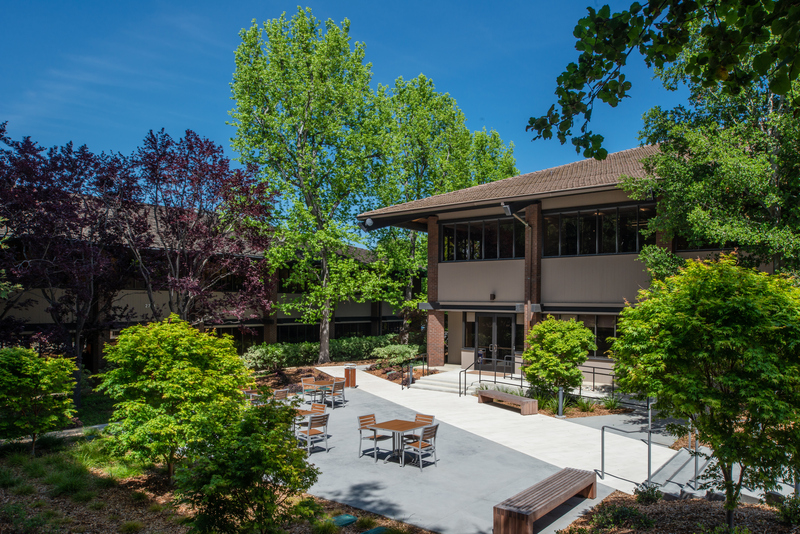 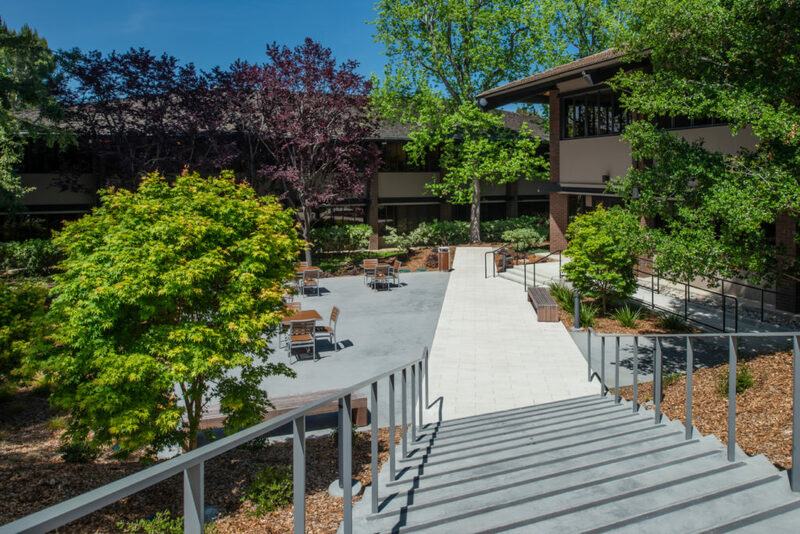 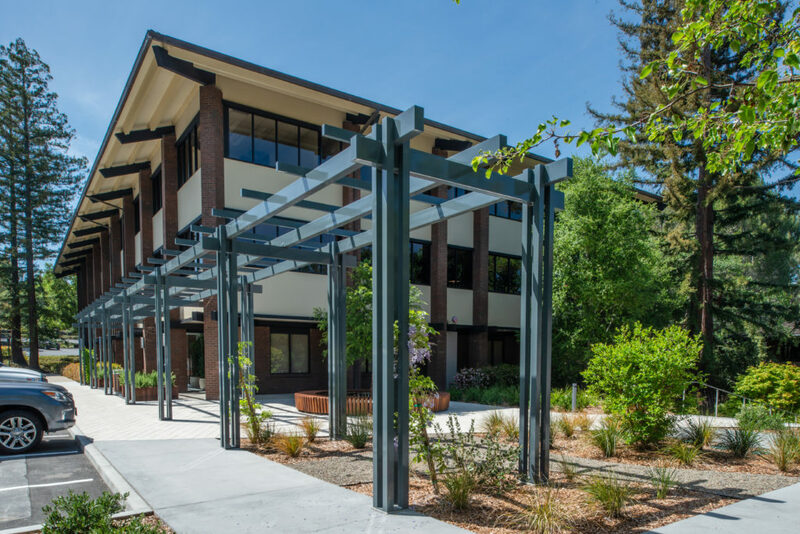 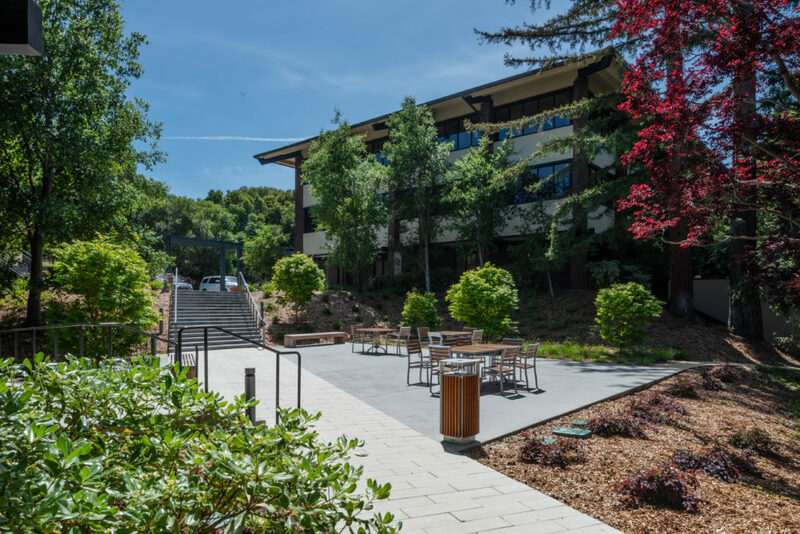 Located in Silicon Valley, 2700 Sand Hill Road office park landscape was redeveloped and modernized. 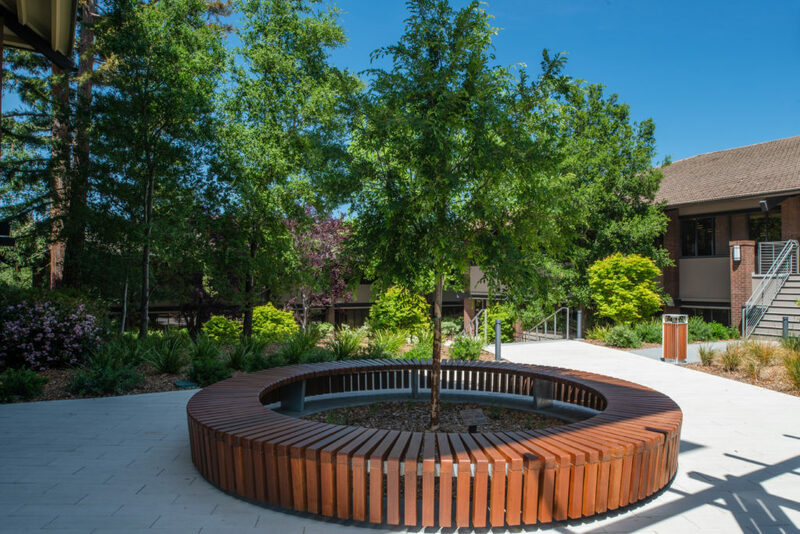 The site’s natural assets including mature trees were preserved and enhanced and re-shaped into a series of courtyard spaces that function with modern office space uses and needs. 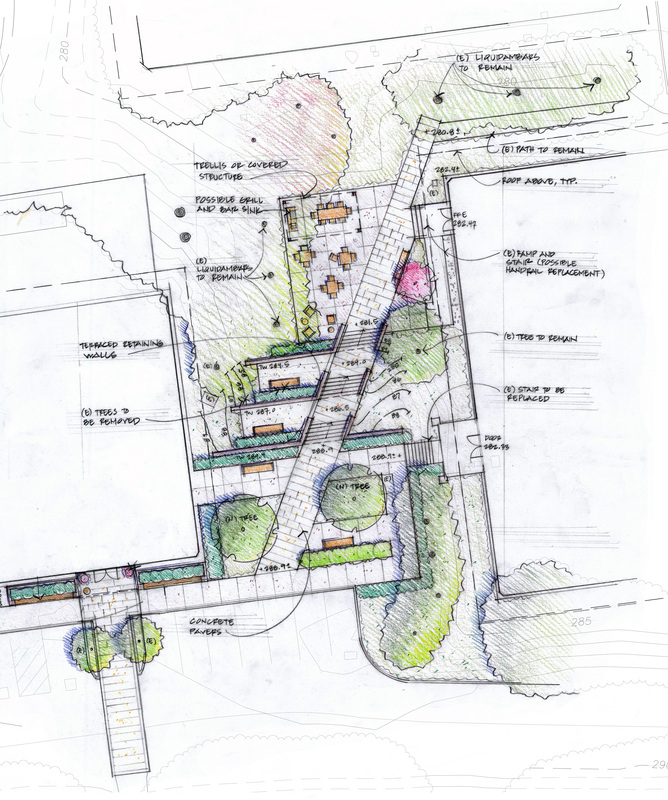 Outdoor amenities were designed to provide for user needs as well as the identity of the overall project. 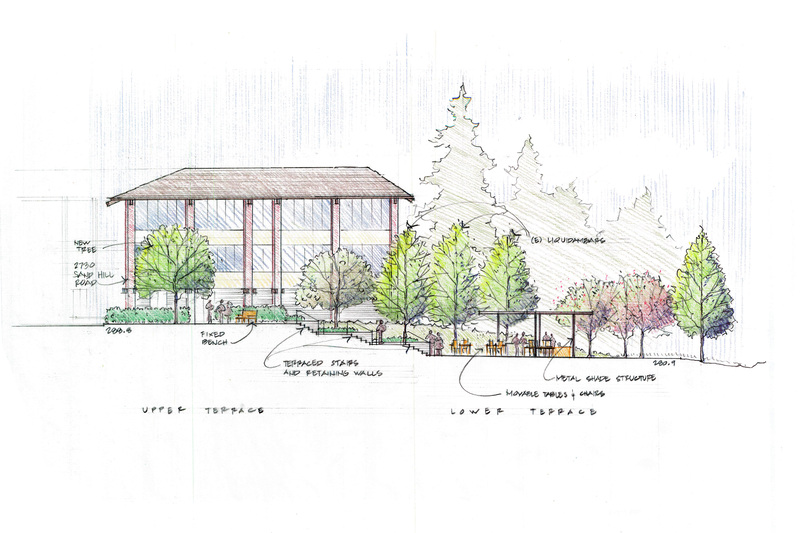 In addition, PGAdesign collaborated with signage designer creating an entry and way-finding signage.